Owing to our years of industry experience and precise knowledge of this domain, we are offering an outstanding assortment of Emerald Faceted Beads. 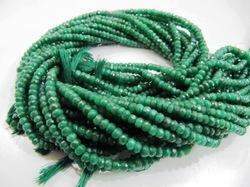 With an impressive growth record in this industry, we are manufacturing a wide array of Emerald Faceted Beads. This is an Emerald faceted Necklace, It’s net weight is 431 carat having 5 strings, price is 1.06 US$ per carat total price of this necklace is 456.86 US$ it’s from Colombian mines, Brazilian mines. 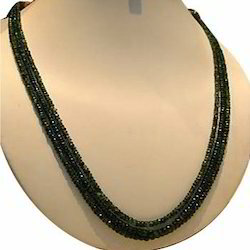 Emerald also available lower & higher quality than this also available, Rates as per quality. We sale in competitive markets, so always we have reasonable price.